Entering into a graduate department can be one of the most daunting and exhilarating experiences a graduate student can partake in. It can generate a number of emotions such as excitement, apprehension, and confusion. Along with these emotions, concerns about financial stability and housing can be great issues for graduate students. “How do I get funding?” and “who takes care of the needs of graduate students?” are a few questions that may arise. This blog will help address some common questions that graduate students may have. Funding can come in various forms, but the most common are assistantships and federal student loans. Assistantships can come in the form of teaching assistantships or research assistantships, and require the student to “work” for the school while getting paid to go to school. A lot of graduate programs will pay half of the student’s tuition and also pay the student a stipend each month. Federal student loans are also available for graduate students. 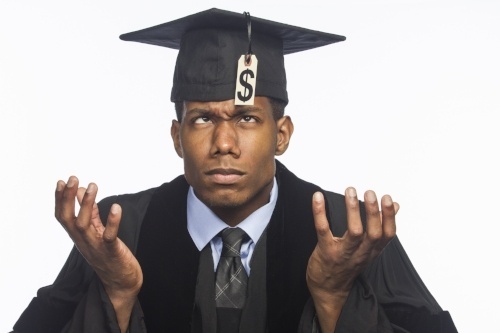 Be cautious when applying for student loans, because one day, those loans must be repaid. Only apply for what you absolutely need. Loans must be paid back, no matter if the degree is finished, and regardless of whether or not the borrower is employed right after graduation. There are multiple clubs, organizations, and services tailored to the graduate student. As graduate students are in a different phase of life compared to undergraduate students, their needs are a tad bit different. Graduate school can be extremely demanding, and oftentimes grad students need an escape or a little support from the rigors of dissertation and thesis writing. Each school has some form of a recreation service, student counseling, and success centers. You will be able to find these services in your school’s directory. Keep these tips in mind if you are considering applying to graduate school, and if you are currently a graduate student – good luck!